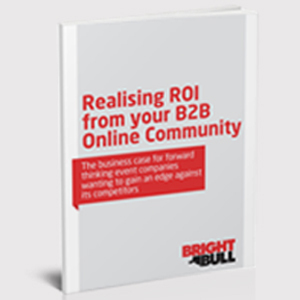 Download the ebook "Realising ROI from your B2B Online Community"
“But where is the ROI? How can we really prove that it benefits us in a business sense? That’s where we come in. This ebook demystifies the seemingly irresistible benefits of starting a community, and makes the case for doing so with hard facts and irrefutable figures. We give you the business case for creating an online community, and the building blocks you need to get started. We’re certain that once you know the reasoning behind building a community, you’ll want to get cracking right away.